Countryside Views. Luxury Living. Equestrian Excellence. 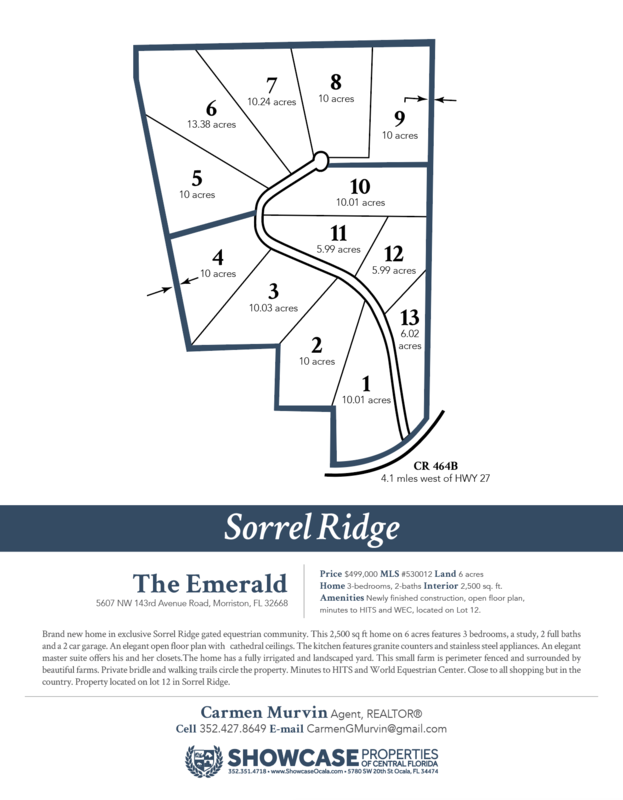 Sorrel Ridge is a premier, newly-constructed equestrian community located in Morriston, Florida. 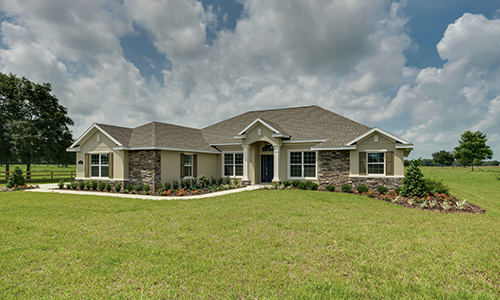 With a prime location just minutes from Ocala, Florida and several equestrian venues, this pristine neighborhood is the perfect place to call home. Central Florida is the perfect location to breed, raise, and train horses– mineral-rich soils, a favorable year-round climate, and rolling pastures combine to make an ideal agricultural environment well-supported by an established network of equine services. Resting on a stunning 130 acre tract of shady, oak-studded land, Sorrel Ridge provides the perfect backdrop for an active equestrian lifestyle. 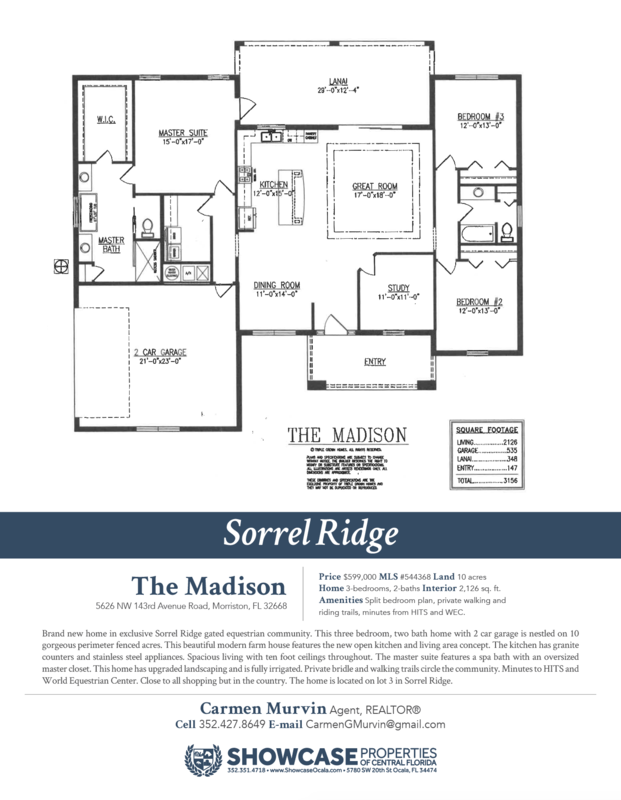 With various homes currently on the market, as well as several lots perfect for building your own farm, Sorrel Ridge offers enormous potential for a multitude of disciplines. 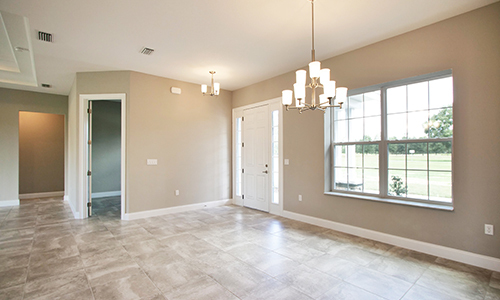 Resting within Marion County, Florida, you’ll find this property’s location to be well within reach of Ocala’s well-supported equestrian community. 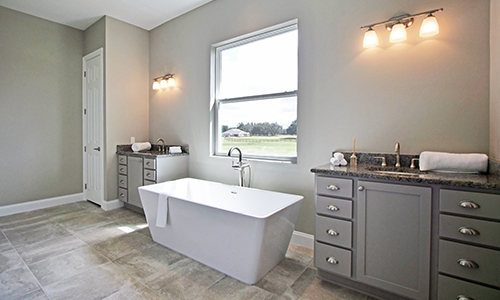 A perfect blend of rural and urban lifestyles, Ocala is just a short drive from Sorrel Ridge. World-class veterinary hospitals, feed and tack retailers, farriers, equine dentists, and major horse transportation companies are all readily available. Marion county also boasts a favorable climate suitable for year-round training, mineral-rich soils perfect for raising strong horses, and rolling pastures that create an ideal agricultural environment. 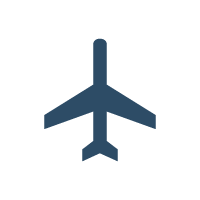 Sorrel Ridge is also just a short drive from the Ocala International Airport, allowing for premier horse transport with minimal hassle. 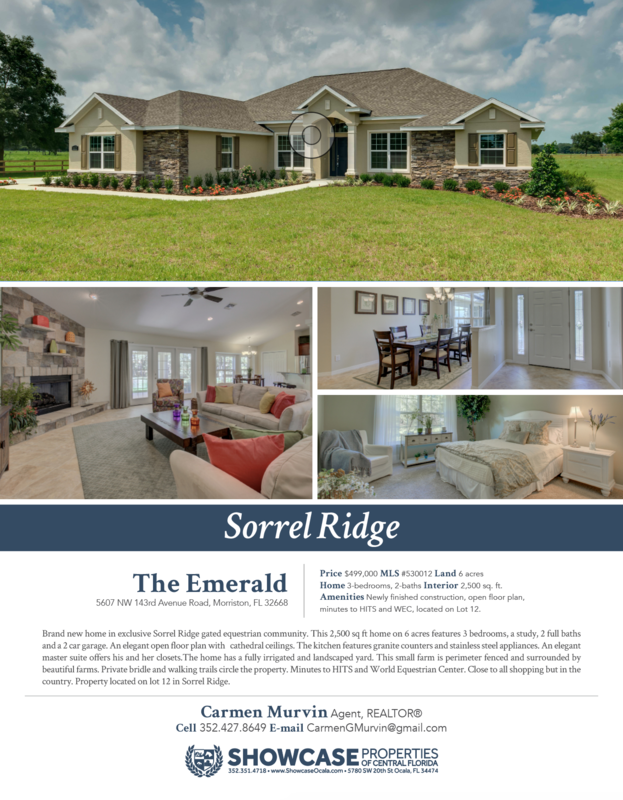 HITS Post Time Farm is just minutes away from Sorrel Ridge. Offering a multi-week, internationally recognized circuit, HITS Ocala Winter Circuit is the premier hunter-jumper exhibition in Central Florida. But it doesn’t just end there– Sorrel Ridge is also minutes away from the upcoming World Equestrian Center, a meticulously design 3,145-acre equestrian park that is currently slated to open its doors in 2021. 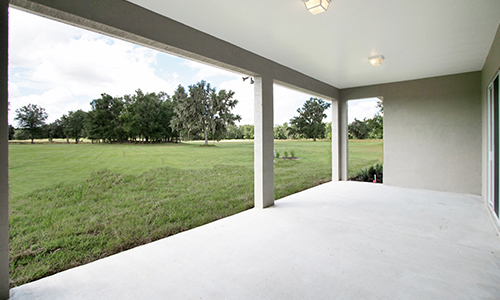 This facility aims provide a world-class equestrian sports venue adjacent to Golden Ocala Golf & Equestrian Club, all easily within reach of Sorrel Ridge. Ocala also offers several other equestrian venues, including the Florida Horse Park, Grand Oaks Resort & Museum, Ocala Breeders’ Sales, as well as countless opportunities for trail riding, including the Florida Greenway, several state parks, and trails surrounding Sorrel Ridge. 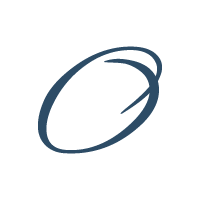 Ocala is also a local hub for residents of Central Florida. The art scene is enriched by such institutions as the Appleton Museum of Art, the Austin Carriage Museum, the Brick City Center for the Arts, the Webber Center Gallery at the College of Central Florida, while simultaneously hosting a thriving performing arts community. Nature enthusiasts can find endless options to occupy their time– kayaking at Silver Springs State Park, bird watching at Paynes Prairie, and a enjoying any of the 41 different parks offering hiking, biking, and riding trails, camping, and boating opportunities. And we haven’t even mentioned the countless restaurants that must be experienced, local breweries/wineries you have to try, and the numerous shopping opportunities. 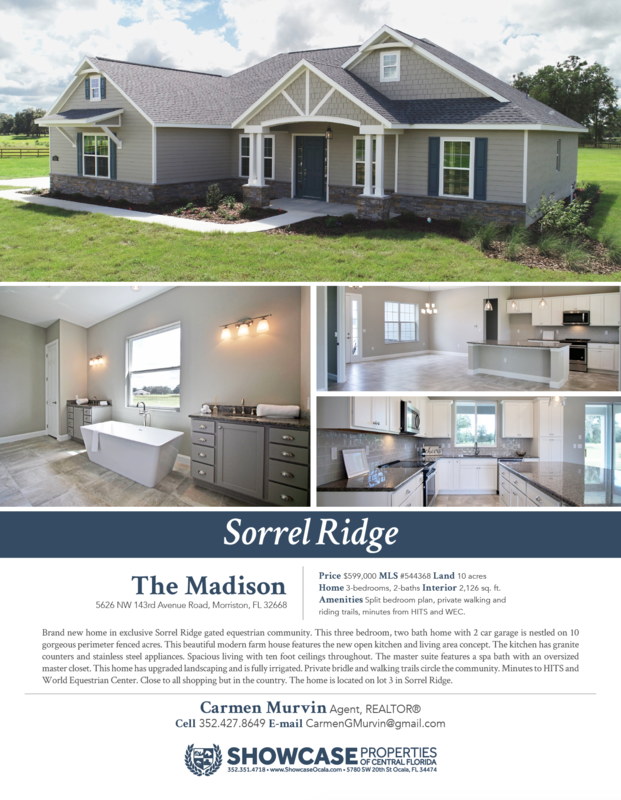 Just a short, scenic drive from Sorrel Ridge puts you right at the heart of Gainesville, Florida, the home of the University of Florida. 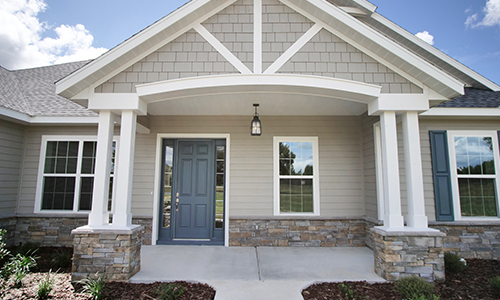 With a never-ending stream of available events, an expanded selection of shopping and dining options, Gainesville is sure to be a destination that residents won’t pass-up. If you’re looking for an active night-life, Gainesville is exactly what you’re looking for! This 3-bedroom, 2-bath home with additional 2-car garage is nestled on 10 gorgeous, perimeter fenced acres. 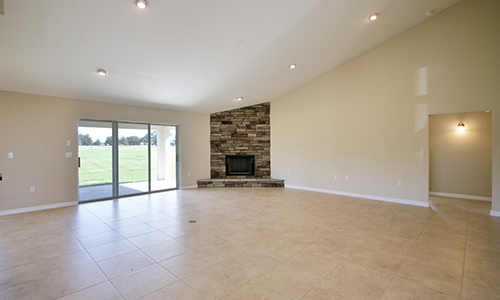 This beautiful, modern farm house features a new open kitchen and living area concept. 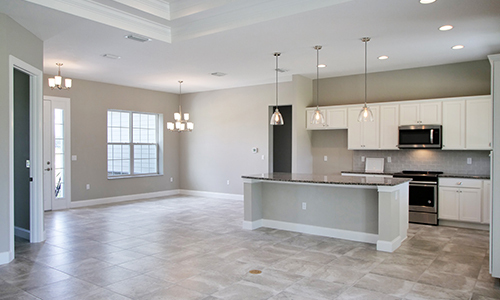 The kitchen offers granite counters and stainless steel appliances. 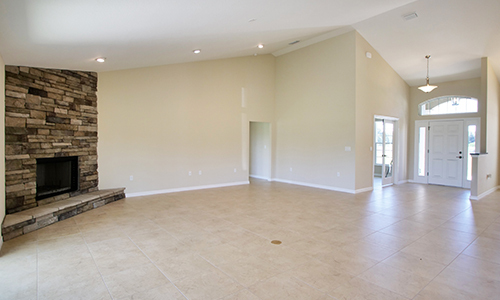 Spacious, this home features 10′ ceilings throughout. 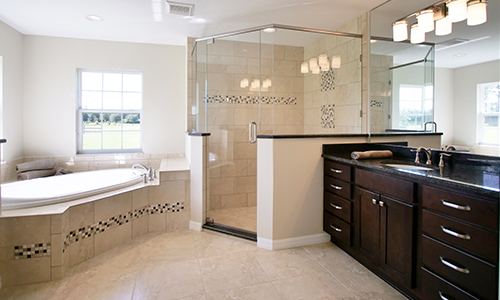 The master suite includes a spa bath with an over-sized master closet. 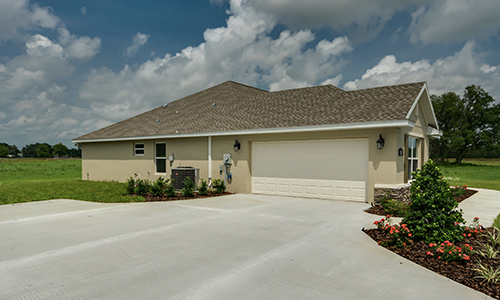 This home has upgraded landscaping, and is fully irrigated. 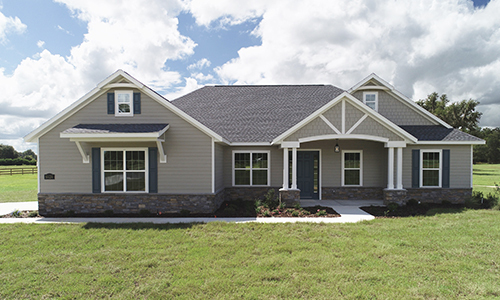 Private bridle and walking trails encircle the community. 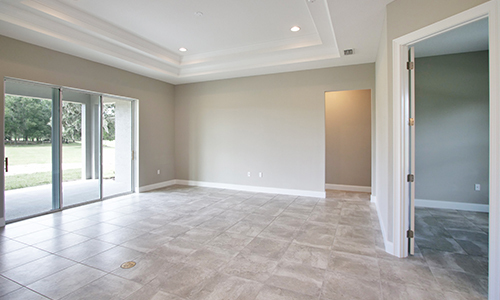 This 2,500 sq. ft. home on a vibrant 6-acres offers 3-bedrooms, 2-full baths, study, and additional 2-car attached garage. 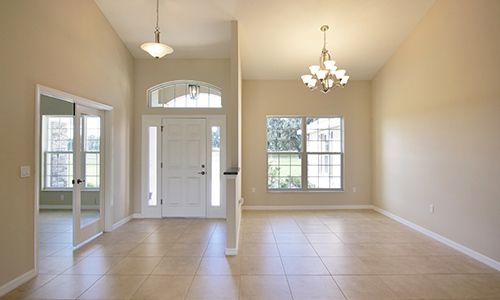 The home is defined by an elegant, open floor plan with cathedral ceilings throughout. 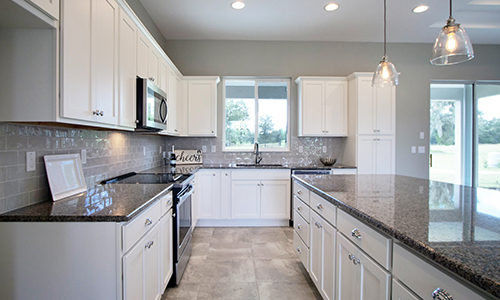 The kitchen features granite counter tops and stainless steel appliances. 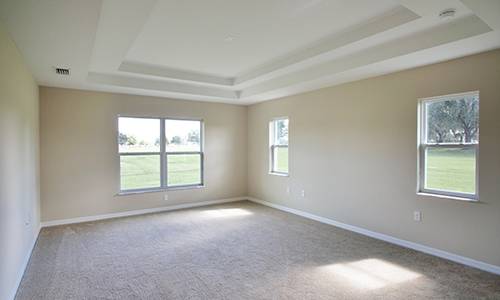 The master suite offers his and her closets. 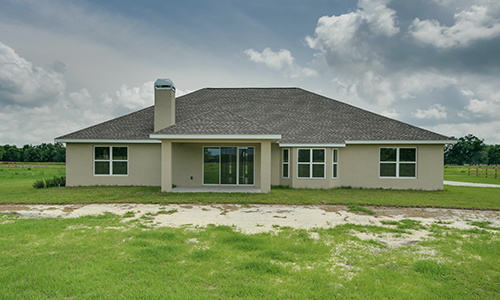 The home has a fully irrigated and landscaped yard, and is perimeter fenced and surrounded by beautiful farms, giving way to plenty of pleasant views throughout the home.